(SILVER SPRING, MD) – April 5, 2019 – TV One’s award-winning documentary series UNSUNG airs the never-before-told story of singer Glenn Jones at 9 p.m. ET/8C. 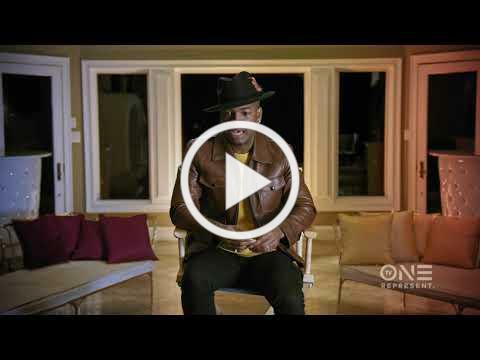 UNCENSORED follows at 10 p.m. ET/9C and gives unprecedented access to multi-talented entertainer NE-YO. Glenn Jones lit up the airwaves in the late ’80s and early ’90s with love ballads that made women swoon. A professional singer from the age of five, he toured the gospel circuit with his own group the Modulations. Jones was mentored by the legendary James Cleveland, who helped him land his first recording deal. Collaborations with Norman Connors and Dionne Warwick put him in the spotlight and he eventually went on to record classic hits such as “We’ve Only Just Begun,” “I’ve Been Searching” and “Here I Go Again.” Although his music was played in regular rotation, Jones never became a household name. As the music industry evolved, he faded from the scene. Jones battled financial woes, romantic infidelities and a health crisis that ultimately imperiled his life. Despite the challenges, his voice remains timeless and he has proven to be a soul survivor who’s still in his musical prime. Along with interviews from celebrities Bone Crusher, Meli’sa Morgan and David Hollister, Glenn Jones reveals his highs and lows on this episode of UNSUNG. 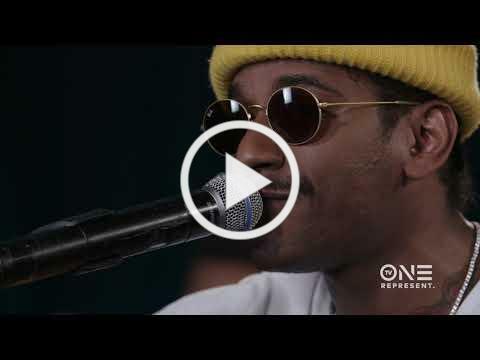 Fans can get more exclusive footage and raw, unplugged live performances from artists such as Lloyd and Adina Howard by visiting tvone.tv. UNSUNG Live, our musical performance series, highlights artists from our signature franchise UNSUNG as they get back on stage and sing their classic hits. The next featured artist is Kenny Lattimore, who will also be hosting the Kenny LatiMORE To Love Contest. Share your UNSUNG Love Story for the chance to have R&B crooner Kenny Latimore perform one song on your special day. For more information please view below and for your chance to win visit www.tvone.tv/love. Hailing from Las Vegas, NE-YO was raised by a single mother and grew up in a household filled with strong women role models that later inspired some of his biggest hits. NE-YO’s father abused him and his mother, and eventually left the family. In his father’s absence, NE-YO vowed to be a strong father figure to his future children. NE-YO discovered his gift for singing during a high school prank. While attending private school, NE-YO was kicked out after an altercation with a female classmate and forced to attend public school. He eventually graduated and headed to Los Angeles with his R&B group Envy in hopes of landing a record deal. After six months of living out of a van, NE-YO called it quits and left the group. He built a career as a songwriter and subsequently landed a deal with Columbia Records, however, they eventually released him from his contract. Resigned to a career in songwriting, NE-YO found himself singing for the head of Def Jam, L.A. Reid, who signed him on the spot and launched his singing career. Today, NE-YO is making an impact far beyond his music – he’s a happily married father of four and is involved with several non-profit organizations, including his personal foundation that’s committed to enhancing the well-being of youth growing up in foster care and group homes. The popular show UNCENSORED resumes for its second season and explores the private lives of some of today’s most notable personalities including actress/singer Naturi Naughton and the reigning king of urban gospel Kirk Franklin. Viewers will get a glimpse into the lives of celebrities as they personally reveal their own stories, in their own words. Previously featured artists on this season of UNCENSORED include Fantasia, Tami Roman, DL Hughley, Jermaine Dupri and Tasha Smith. UNCENSORED is produced for TV One by Eric Tomosunas (Executive Producer), Keith Neal (Executive Producer), Paul Hall (Showrunner) and Jay Allen (Supervising Producer) of Swirl Films. Radio One Atlanta Personality Ryan Cameron directed NE-YO’s episode. For TV One, Jason Ryan is Executive Producer in Charge of Production, Donyell McCullough is Senior Director of Talent & Casting and Robyn Greene Arrington is Vice President of Original Programming and Production. 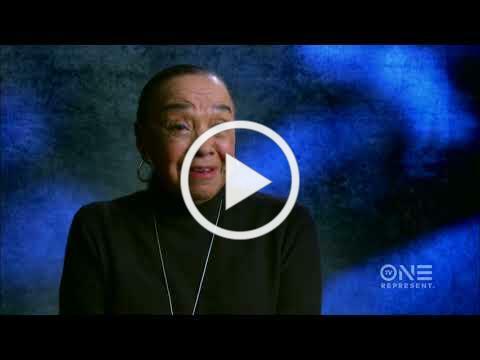 For more information on UNSUNG and UNCENSORED, visit TV One’s YouTube Channel and check out exclusive, behind-the-scenes content on www.tvone.tv. Viewers can also join the conversation by connecting via social media on TV One’s Twitter, Instagram and Facebook (@tvonetv) and the UNSUNG Facebook (@tvoneunsung) using the hashtag #UNSUNG. Follow UNCENSORED on Facebook and Instagram (@UncensoredTVOne) and use the hashtag #UNCENSORED. Watch Your Favorite Shows and Movies. Anytime. Anywhere. Download the TV ONE App. Celebrating your engagement, wedding or anniversary? Imagine Kenny Latimore being a part of your I Do’s… only “For You”! Share your UNSUNG Love Story for the chance to have R&B crooner Kenny Latimore perform one song on your special day. For your chance to win, visit www.tvone.tv/love and describe your UNSUNG Love story in 100 words or less. Submissions will be judged on the uniqueness, creativity and appeal of the love story. Age Requirement: Must be 21 years of age or older to enter. Unsung Live, our musical performance series, highlights artists from our signature franchise ‘Unsung’ as they get back on the stage and sing their classic hits in an intimate, unplugged performance. Unsung Live airs exclusively on TVOne.tv and our social channels. The upcoming UNSUNG LIVE will feature Kenny Lattimore. Tune-in to tvone.tv to get caught up!